 Freedom Network USA has been awarded $849,980 to improve access to housing for trafficking survivors. The three-year grant will support the Freedom Network Training Institute Housing Training and Technical Assistance Project. The Freedom Network Training Institute (FNTI), the training arm of FNUSA, has delivered victim-centered training and technical assistance for over 15 years. The FNTI Housing Training and Technical Assistance Project will develop new resources and provide comprehensive and regionally specific training to human trafficking programs across the country. Survivors have identified housing as a critical need after escaping their traffickers, but not all housing programs are designed to serve trafficking survivors. While some qualify for traditional housing programs, others struggle with limited rental histories, poor credit and limited or no documented employment history. Mainstream housing programs often lack expertise in addressing trauma, domestic violence shelters are generally not designed to support men, and housing first programs may not be well designed for minors. “As the identification of trafficking survivors continues to climb, this program is crucial to ensuring that those who have been exploited have a safe place to live as they rebuild their lives,” noted FNUSA Executive Director Jean Bruggeman. Over the next three years, FNUSA will work with experts including a Survivor Advisory Panel, housing experts, and FNUSA member organizations to share best practices that address the specific housing needs of survivors. Members have implemented a variety of housing program structures in different regions nationwide. Leveraging that expertise, the program will provide education on developing specialized housing programs and how to build collaborative relationships with existing providers.